Infusionsoft and Hubspot both make various claims about improving your lead generation and increasing conversions through effective email marketing and in the end you will only choose one. Hubspot does provide a variety of marketing and sales services, but you may not think about them when it comes to marketing automation; however, after inspection, Hubspot could be a suitable alternative to Infusionsoft. Infusionsoft has numerous features and resources. Intuitive e-commerce and lead generation tools. Extensive personal training explains how to navigate Infusionsoft. The $1,999 training may be too costly for some businesses. New users will find the user interface intimidating. 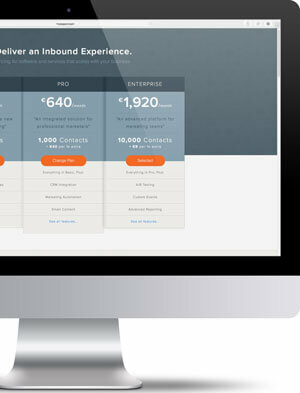 HubSpot has additional features geared towards online businesses. Very easy to use online interface. There are several pricing options for all types of businesses. There is a lack of specific marketing automation features. There are not as many contact and subscriber management solutions. When you want to expand your e-commerce business by increasing conversion rates and focusing on lead generation, Infusionsoft has a number of benefits. In addition to the training program that is required when you use Infusionsoft, you can get help at any time with live customer support. Having your problems solved as soon as they present themselves will keep your marketing campaigns running smoothly. HubSpot is great for medium to small businesses wanting to increase their online presence. 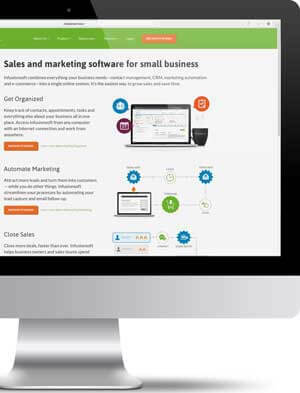 While they offer basic marketing automation services, HubSpot has a large variety of online marketing solutions, such as blogging tools and landing page creation and more. 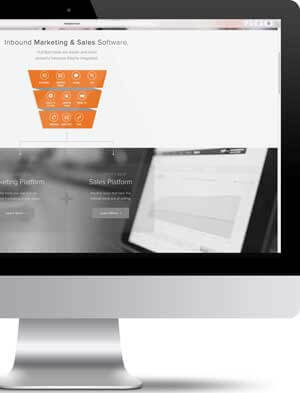 The online marketing services provided by HubSpot make it a wonderful choice for businesses wanting all-in-one control of their website, blog, contacts, subscribers, and online marketing campaigns. Infusionsoft does not worry too much about their user interface, as they focus on provided a robust suite of features and management solutions. HubSpot surpasses Infusionsoft when discussing user experience, for offering a finely-tuned online interface. HubSpot does have some personal training, depending on the services you choose, but Infusionsoft requires the expensive training that is part of their services. This training is helpful in mastering the large host of features. 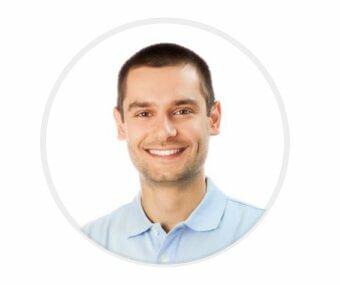 The additional features of Infusionsoft appear to be never-ending – which is part of the reason for the detailed training. You can schedule mass emails, create complex campaign variables, and setup custom reports. HubSpot has many features; though, access to features will depend on the package that you select. With the Basic Plan, you blogging tools and basic marketing automation help. The Enterprise Plan, at $2,400 per month add custom events and advanced reporting. Infusionsoft stands out for offering live customer support. They want their customers to succeed and are their customer support staff work quickly to solve your problem. The customer support at HubSpot is also helpful; though, you may have to wait 24 to 48 hours for the resolution of your problem. Infusionsoft has a robust set of features for customizing your campaign. Managing a large amount of contacts and setting up a schedule for mass emails are some of the strong points of Infusionsoft. Their extensive options make their campaign management system one of the best available. HubSpot has basic campaign management options, but this should be sufficient for most businesses. Unless you want to setup complex scenarios, HubSpot should have you covered. Both tools allow you to set goals and track every aspect of your marketing campaign. Infusionsoft has a slight advantage over HubSpot when it comes to offering detailed email marketing automation solutions. HubSpot focuses more on online marketing and traditional search engine optimization to increase the online presence of a business, while Infusionsoft helps businesses increase traffic and conversion rates from potential customers. Infusionsoft and HubSpot both have great solutions for your online marketing campaigns and tracking your goals. Deciding between these two tools can be tough. If you are interested in creating complex marketing campaigns and increasing conversion rates, Infusionsoft has a detailed campaign management system that should meet your needs. When you are looking to build backlinks, improve SEO, and handle basic mass email marketing, HubSpot is a great option. Here is my experience with Infusionsoft. PRO: There Sales person is very good at hooking you on the product and they pay $500 referral fees to the person who introduce you. CON: False Promise at sales stage, and drag on not letting you cancel the subscription. The Sales person mislead me into the product when I sign on. And they incorrectly billed my credit card even after I’ve cancelled with them. Infusionsoft charged me $2000+$299 for first month of service fee, Evan Samurin (the Sales) says if it is not for me, they will do something to credit the upfront $2000 back to me. After I used it for a month I emailed Evan saying infusionsoft is not for me, he says that he will forward the message to customer service. I haven’t heard from infusionsoft again, I have followed up with Evan with no reply. My credit card is billed month after month, which forced me to call my credit card to cancel the card. Then someone from Infusionsoft customer service, Blake Ghormley emailed me saying I have unpaid balance. I asked Blake to communicate with Evan and credit me back for the months that I didn’t use. Blake Ghormley disappeared again. The problem of this product is, Infusionsoft pays $500 referral fee to the person introduce to them. So a lot of contractors will say that infusionsoft is good. But those contractor may only know how to use 5% of the product, which is similar to other lower cost competitors which pays less referral fees. And when you want to cancel, my experience is they will skip your emails. I personally would not recommend any company to use their service. – Most companies would not need such a BIG solution. If you are big enough you will go to SAP. – Their $500 referral fee, and false sales promises is not someone would look for. – Don’t worry about cancelling with them, they skip these emails. 1 visitor rated Infusionsoft vs Hubspot 4 stars out of 5.